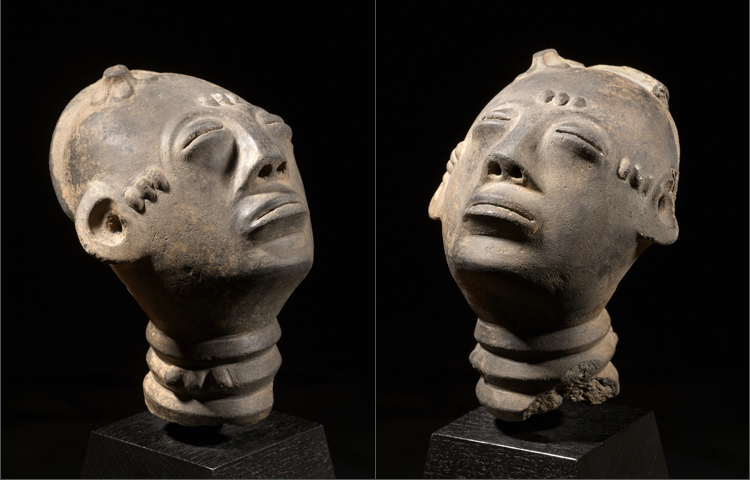 As it gazes up to the heavens this Akan terracotta head is not only superb aesthetically; it was created by a well known hand. 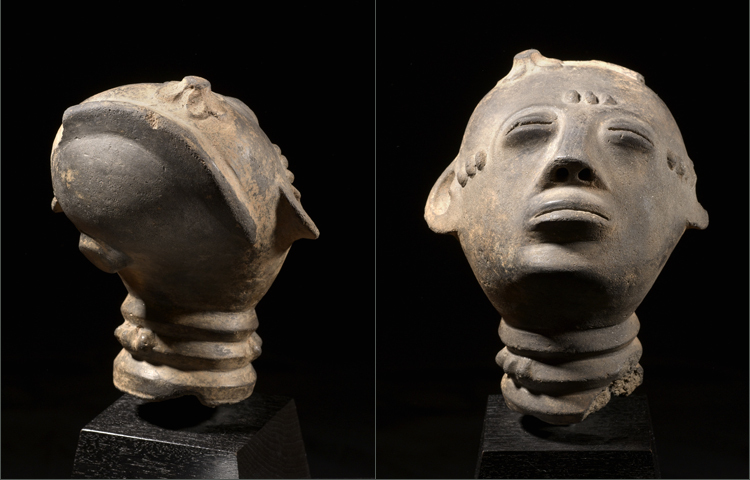 These heads were usually found on large figures or vessels made in a funerary context. 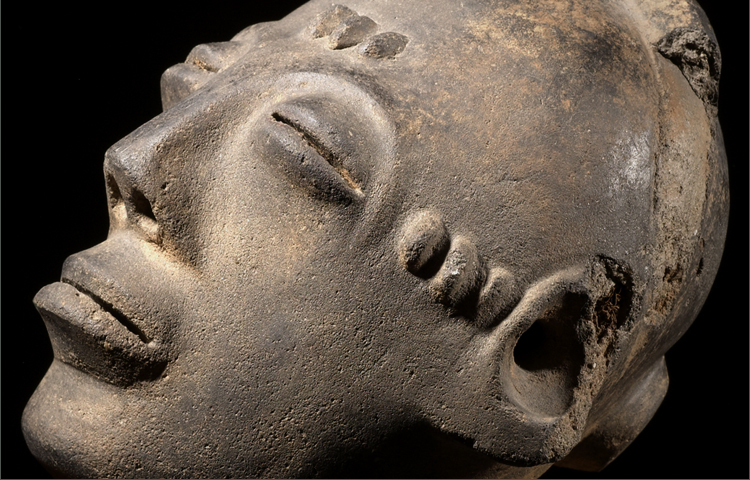 The features are rendered naturally and blend to create a haunting appearance. The classic dot scarification is found on the head and ringed neck. There are some slight losses but this is to be expected from an object of this vintage and medium. 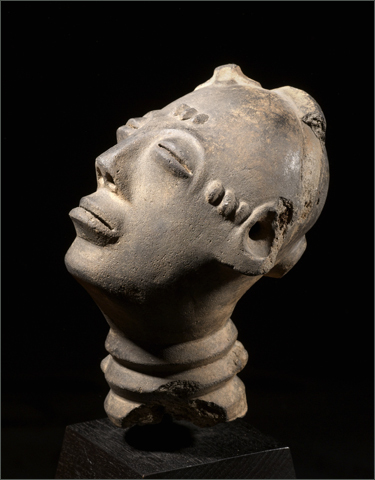 An example by this hand can be found in the publication “Ancient treasures in Terracotta of Mali and Ghana “figure 43. 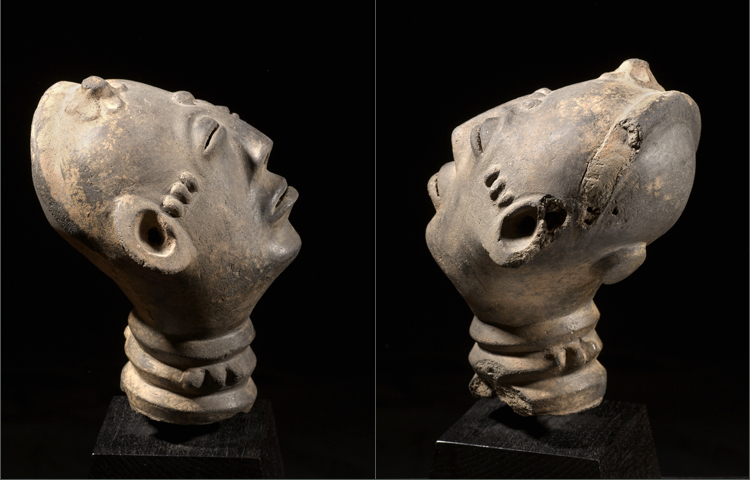 This head stands 9 inches tall.